New York - New York City Mayor Bill de Blasio on Thursday announced a new raft of reforms aimed at improving safety at the city’s notorious Rikers Island jail complex, including equipping some senior officers with Tasers and installing full body scanners for visitors. The city also expects 700 new corrections officers to graduate in the fall - the biggest class of recruits in the department’s history, de Blasio said - and an even larger cohort of 1,200 new officers next spring. 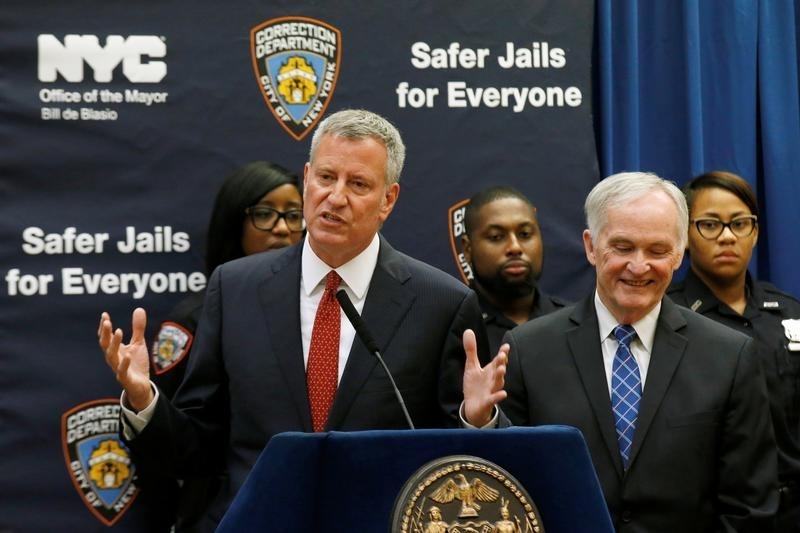 At a news conference on Rikers Island, one of the country’s largest jail complexes, de Blasio touted the strides his administration has made at Rikers even as he acknowledged that deep-seated problems remain after decades of neglect. Critics say the complex has been plagued by a culture of corruption and abuse. Last year, the city agreed to a federal monitor as part of a settlement in a civil lawsuit over pervasive violence at the complex. Officials said use of force incidents against inmates and assaults on guards have both declined significantly since 2015. The city will install scanners similar to those found at airport security, de Blasio said. The scanners will allow guards to spot contraband like weapons and drugs hidden under clothing that might otherwise be missed by metal detectors. Tasers, which deliver electric shocks through barbed wires, will be distributed to captains in a unit specially trained to respond to emergencies. The devices will be equipped with cameras that activate automatically when the Tasers are turned on. The reforms follow other measures installed by de Blasio’s corrections commissioner, Joseph Ponte, including tripling the number of cameras at Rikers and training officers to defuse tense situations. City and federal authorities have also stepped up criminal prosecution against corrupt guards, charging more than 50 since 2012 with assault, falsifying reports and smuggling. And what's he doing to stop police hooliganism?